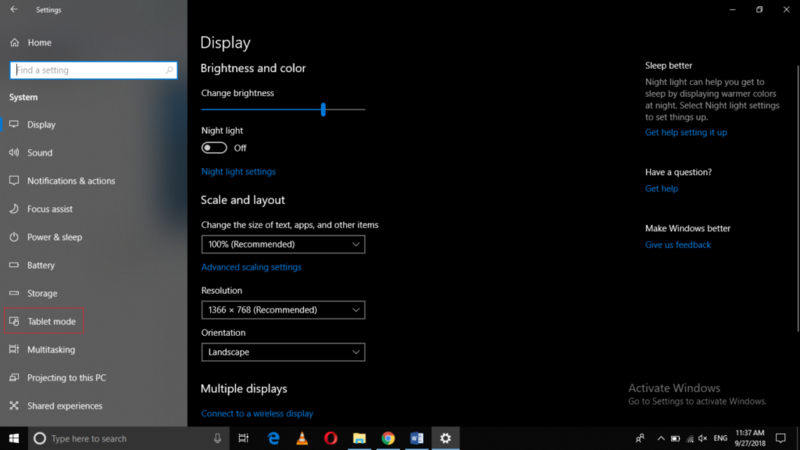 Windows 10 has the flexibility of converting your screen either in the desktop mode or in the tablet mode. If your laptop is two in one i.e. you can use it both the ways. Either as a notebook or as a slate, then you are most likely to use this feature. Tablet mode allows you to have a full-screen view of all your applications. 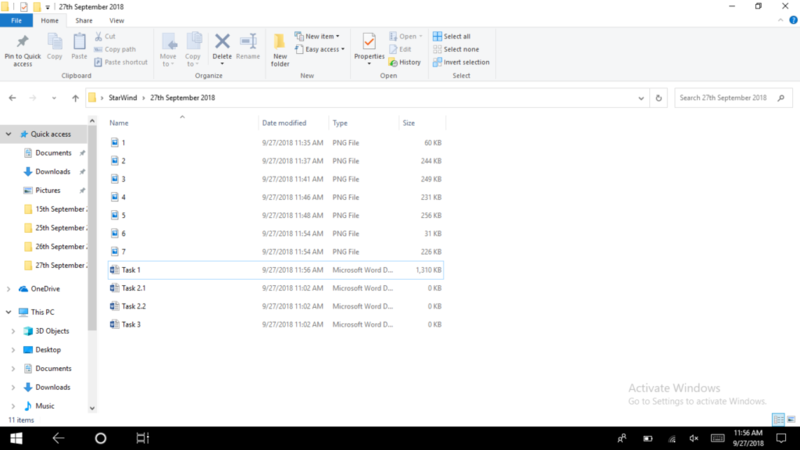 In this article, we will explain to you some methods through which you can enable or disable the tablet mode in Windows 10. 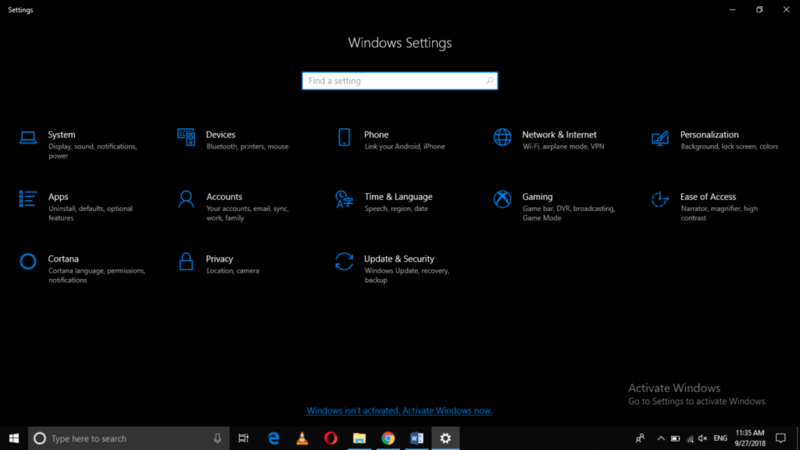 Click on the System tab located at the top left side of the settings window. Now click on the Tablet Mode as highlighted in the image shown above. 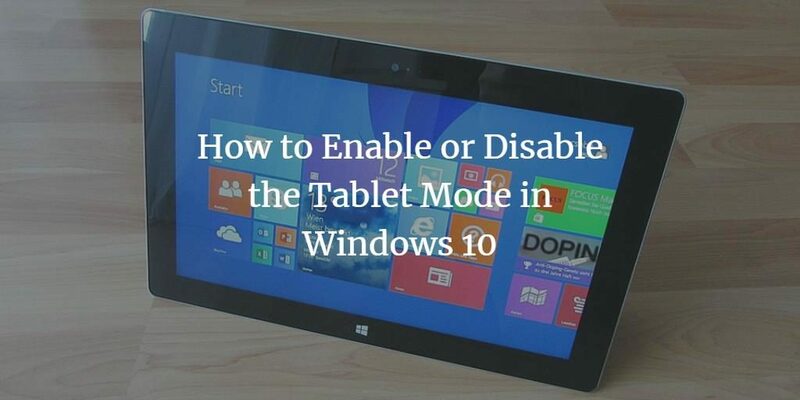 Here you can select if you want to enable or disable your tablet mode. You can choose any of the three options highlighted above for your sign in. 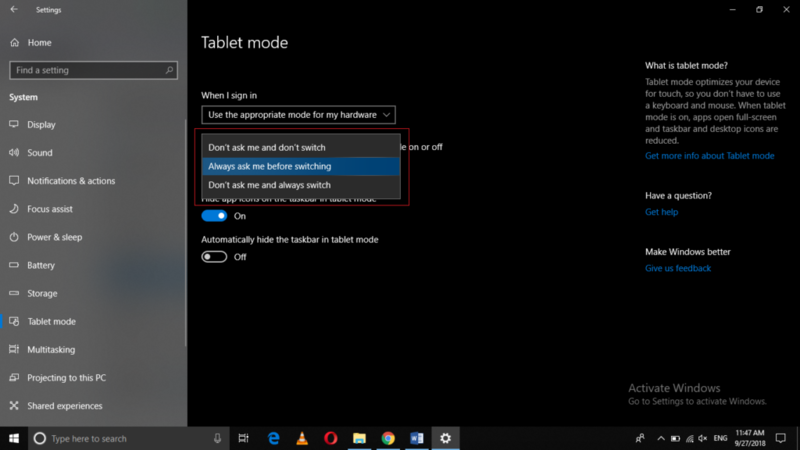 Either you can choose not to switch to tablet mode in any case or you can choose to always switch or you can choose the Windows 10 to ask you before switching to the tablet mode. 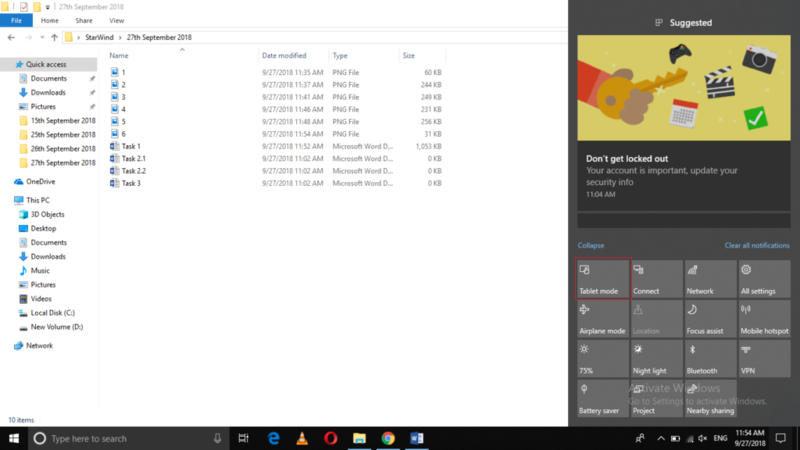 Just click on the Tablet mode tab as highlighted in the image shown above in order to enable the tablet mode. 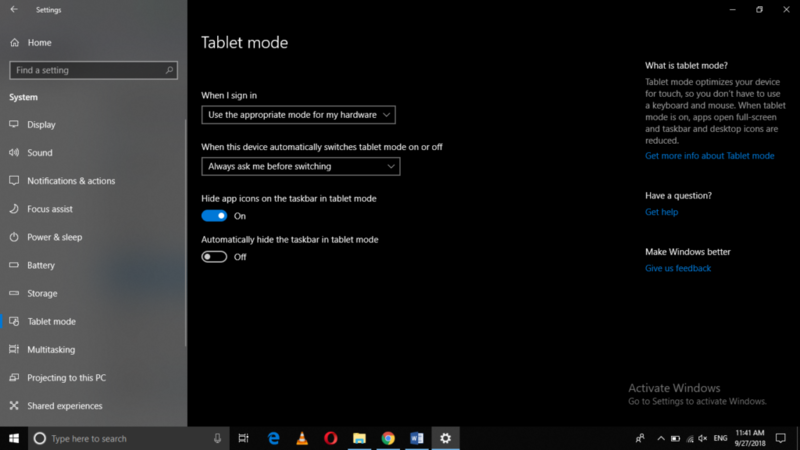 If you want to go back to the desktop mode, just click on the Tablet mode tab once again in order to disable the tablet mode. 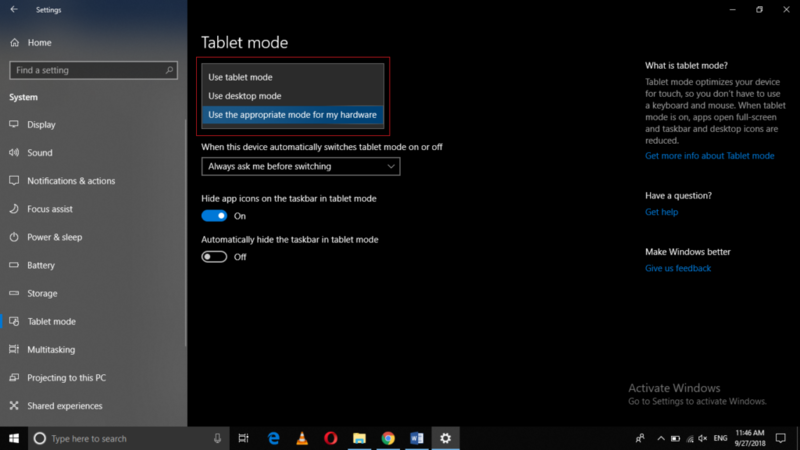 By following any of the two methods listed above, you can easily enable or disable the tablet mode in Windows 10. In this way, you can customize the look and feel of your screen while switching between the notebook and the slate mode.